CYCLOMOVE is a chain conveyor, which provides the distribution of semi-finished products in the sewing department. 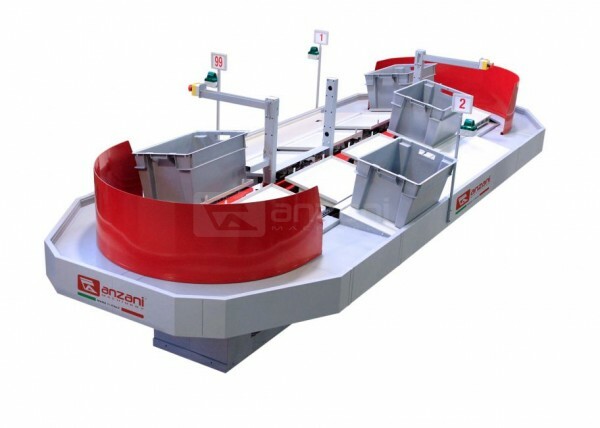 One worker, the one who will manage the system, can load and unload the boxes from the conveyor, and also add all the datas required through a touch-screen panel. After the box loading, the system reads the box and puts it in front of the worker, who has to make the first operation; then a signalling light will turn on, in order to inform the worker to unload the box and start the operation. Once the first operation is finished, the box is sent to another workstation for the next operation and so on, until all the operations are completed.